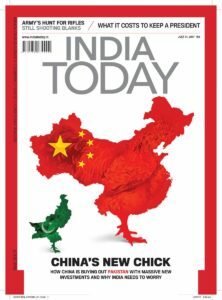 TAIPEI (Taiwan News) — In a bizarre reversal of fortune, instead of the usual erroneous inclusion of Taiwan in a map of China, the cover of the latest issue of the magazine India Today, not only excludes Taiwan from Chinese territory, but it also carved away Tibet from its posterior, while a tiny green chick in the shape of Pakistan stands behind it. The creative illustration for its cover story, titled “China’s New Chick,” which analyzes China and Pakistan’s growing economic ties, was selected as the “The Cover of the Day” by the Society of Publication Designers (SPD), New York. The question from the Taiwanese media is why the editors of the magazine decided to exclude Tibet and Taiwan from the illustration and what message were they trying to convey. 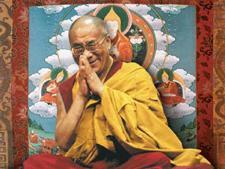 Thus far, there have been no public comments by the editors of the magazine on the subject.